Riley Bloom is my favorite dead girl. She lives (so to speak) her afterlife in a sort of "alternative heaven" called the "Here & Now" where you can manifest anything your unbeating heart desires. In the Here & Now, everyone is assigned a role. Riley is assigned the role of "soul catcher." With the help of her mentor, Riley travels back to earth to try to convince earth-bound spirits to forget their past life and cross over. It's a concept that's been done before (enter The Lovely Bones), but Radiance has its' own unique twist to it. If you've read Alyson Noel's Immortal's series then you'll recognize our heroine as Ever's little sister. But don't worry — you don't have to read four other books before this one. Radiance is story that stands all on its own. The setting is very interesting and conflicts are exciting, not to mention rich in imagery. Young Riley's life may have ended to soon, but her afterlife is just beginning. How do I even begin to describe the amazing, entertaining ludicrousness that is The Hitchhiker's Guide to the Galaxy? I'll start by saying Forty–Two. Also, respect your pet mice. Is this confusing book review already testing your tolerance? Well in that case, you probably shouldn't read this book. But if you are intrigued, let me say, don't bring this book to school — you will laugh, you will gasp, and you will refuse to put it down, even when your biology teacher gives you death-glares. Just to make sure you are intrigued, I'll attempt to explain this book. Shortly after Earth is demolished, Arthur and his alien friend Ford begin a journey though space. With the help of a few new friends and, of course, The Hitchhiker's Guide to the Galaxy, Arthur learns that there's a lot more out there than just planet Earth; in fact, Earth is an insignificant dot in the universe written off as "mostly harmless" by other life forms. If you're looking for something different, you can't get much more unique than this. Hitchhiker's Guide has everything from dead planets to depressed robots. We, as teenagers, often assume that any book assigned for English must be completely tedious and unappealing. I blame Shakespeare for this misconception. Although I understand resenting Julius Caesar, don�t be too quick to spark note this novel. In its simplest terms, The Catcher in the Rye is about a teenager's (Holden's) struggle to accept the actuality of the adult world. I really can't explain how beautiful this book is, especially in a one-sentence summary: The Catcher in the Rye is far too remarkable. Holden is the most in-depth, true-to-life character I've ever met. I don't feel like I simply read about him, I feel like I knew him personally. Holden's journey is profound in an understated way that makes it all the more emotional. This really is a stunning book that's worthy of your time, whether you're reading in an English classroom or behind your bedroom door. Dreams From My Father is a book about finding out who you are and how you can impact society. The "you" in this case is Barack Obama, and in his autobiography he chronicles his internal struggle and his struggle to make change in a country where the black community faced continuous adversity. Obama was born to a Kenyan father and a white mother at a time when interracial marriage was frowned upon. Obama never really knew his father, since his father had left the family when Obama was very young, and this missing relationship was a large cause of the internal struggle you read about in the book. The tough part about reviewing this autobiography is that I neither hated nor loved it. It�s fairly interesting to read about the different situations and events that took place in the life of our 44th president, but the book didn�t really move or inspire me. To be honest, Dreams From My Father is a very up and down book. It has its lulls in the writing that makes you want to just skip to the dialogue, but there are also some riveting moments when Obama describes the crazy scenarios he finds himself in. An instance of this occurs when Obama takes the son of a friend to a basketball court in Chicago to play some pick-up games. The game soon gets rough and the 16-year-old (named Kyle) that Obama had brought along gets in a confrontation with an adult they were playing with. Suddenly, "Kyle swung. His fist landed square on the man�s jaw, dropping him to the floor. ". Another time in the book, Obama and his friend Johnnie are sitting outside at night when they hear gunshots. As they hide, they see two teenagers wielding handguns chasing after another young man who is also carrying a gun. Those are just a couple of situations that Obama documents in his memoir. Dreams From My Father is a very hot and cold book. It can captivate your attention in some moments and put you to sleepin in others, but there is no middle ground. I would recommend the book to readers who are interested in politics and how politics worked "behind the scenes" in Chicago during the 70s and 80s because Obama does a good job of depicting the inner workings of the local politics that many people may not know about. Are you looking for some thrilling adventures? Then, try reading The Adventures of Sherlock Holmes series by Arthur Conan Doyle. It is a most fascinating and interesting book about detective Holmes and his biographer / assistant Watson, and I recommend it to sixth graders or higher who are seeking adventures. As I have explained previously, this story is made up of series of smaller stories about their adventures. My favorite one was The Blue Carbuncle. This story starts out funny — a man who dropped his Christmas goose because a friend of detective Holmes scared him without meaning to. But then, a totally unexpected thing happens: inside the goose, there was the lost blue carbuncle of the Countess. So they start to try to find out how this happened, an unimaginably precious gem in a Christmas goose. Holmes fathoms it out with his great detecting and observing skills, then finds out that a young, poor, and extremely frightened farmer caused this all, tempted by the thought that he'll become rich. The man started crying when he realized what he had done. At the sight of this, Sherlock Holmes just hollered at him to get out, making sure that he'll never do this stuff again. I was very impressed by Holmes's character traits. He might only look like a sharp, keen, and intelligent detective who always clears out cases, but he also lectures criminals, gets sidetracked, and forgives. It won't be just the adventures you're getting out of the book, but it also teaches you lessons and leaves a huge impression in your mind. Like the character traits, it's telling you that rather than punishing a person, it's better for the person who caused the trouble to learn not to do it anymore. Also, if Holmes didn't tell the police about the man who stole the carbuncle, it means that Holmes would get no credit for it. In most of his cases, Holmes doesn't get credit for them. He says that he does his job because he enjoys it. So, really try this book. You'll sometimes find yourself so into the book so that you can't get out of it. If you've read The Adventures of Tom Sawyer, you probably know about Huckleberry Finn, the poor boy who lives in a little hut with his drunken father. This book is a sequel to The Adventures of Tom Sawyer. Huck and a runaway slave Jim goes on an adventure around the Mississippi river, and you'll learn a lot about this pure-hearted boy. Most people judge him as an impudent dirty boy and all the moms despises him for being a bad role model for their kids, until in The Adventures of Tom Sawyer, Tom and Huck found a fortune and people celebrate them. Huck thinks his tough life with drunken father ended, but his father returns and he escapes down the Mississippi River with Jim, a runaway slave. They have a lot of adventures together, including shootings and frauds and the slavery. If Jim gets caught by the police or goes back to his mistress, he'll be punished for sure. Huck — and later Tom joins in — has to free Jim from slavery, but is he finally going to find freedom? The thing I enjoyed the most about this book was Huckleberry's character traits. His mind was so pure. When he gave up going to Heaven for going against slavery, it was quite surprising how warm-hearted he is because at that time period, everyone thought that slavery is natural, and it was against the rule to help a runaway slave. Anyone who helps a runaway slave will not go to Heaven. I truly learned that one must not judge a person by his looks. One thing that you might not like about this book is that Huck's the narrator, and he doesn't speak perfect English. I had a hard time reading it too, but it was worth it. Other than that, this was the best book written by Mark Twain in my opinion, and you'll enjoy it very much. Every book I read leaves something in my mind — and this book, Call of the Wild vividly left the trace of Buck, the main character who is a dog. Jack London's descriptions are so rich, so that it made me feel as if I were feeling what Buck was feeling every time. I recommend this book for people who are around 11 or older, to be able to fully understand the lot of philosophy behind the plot. The time is set in Gold Rush, when people were going crazy for the hope of getting a lot of gold and many dogs were needed to pull the sleighs. Many dogs were stolen to be sold in the North, including Buck. He had been living comfortably in a big house in Santa Clara Valley. Buck, with a powerful soul, struggles to survive in the cold North, pulling sleigh without any rest, with very little food, and sometimes with terrible owners. The thing that I admired the most was Buck's strong spirit and intelligence. He never wants to lose, and he doesn't give up in anything. However, he learned that he can never defeat a club and he cannot do anything about that nature of fangs of the wild dogs, so he keeps it in his mind and calls it "The law of club" and "The law of fang". He also learns "love", another thing he'd never experienced before. This book often reflects the human society. The law of club represents an obstacle in the society that one cannot overcome, and it only exists in the harsh human society. Since it's from an animal's point of view, I was able to see the misconducts of different people and what it's like to view it as a dog. Call of the Wild taught me many things about people, life, and nature. There's a lot more things than what I talked about so far, and I was even surprised by how vivid and rich this small book can be, like a magical book. The Son of Neptune is an amazing, action-packed thriller which gives readers a great way to use their time. The book is about an amnesiac Percy Jackson who is trying to recollect his memories. In the process, he helps a Roman camp by freeing Thatanos, the god of death. That stopped ancient monsters from resurrecting themselves. I really like this book because the story flowed very well and there were surprises waiting on every page. Also, the characters were very humorous. I believe this book would be good for kids within the age of 9–13, because, at times, the story is a bit crazy. Call of the Wild by Jack London is an amazing story on how man instinctively returns to their natural ways when facing nature. The story revolves around Buck, a dog, who is forcibly taken to Alaska. In Alaska, he travels with many different owners, some which he loves and some which he hates. During this time, he becomes very experienced, strong and fit. After his beloved owner, John Thornton was killed, Buck becomes a fierce wild dog. This book was very appealing because the author humanizes the characters which allowed me to easily tell what the dogs felt. Also, the author provides vivid details throughout the story. One book I have read recently was the book Walk Two Moons. The story revolves around a girl named Salamander, whose mother recently died. She goes on a trip to Idaho to visit her mothers grave and, on the way there, tells about her friend Phoebe and her disappearing mother. While telling her story, Salamander notices the similarities between her mother's disappearance/death and Phoebe's disappearing mother. Though this story was humorous and touching, I believed the story was very boring at times at it did not flow well. Also, I thought the characters did not seem real because of their weird behavior. Inheritance was the final book of the Inheritance series, which revolved around a dragon rider Eragon. In this book, Eragon and his dragon, Saphira, finally confront Galbatorix, the malicious leader of Alagesia. Soon after Eragon and Saphir succeeded in the siege of Galbatorix's defenses and toppled the king, Eragon makes a final decision to leave Alagesia forever. I believe Inheritance was an entertaining book with lots of action and comedy. It was also very touching because of Eragon's final desicion to leave his home country forever. 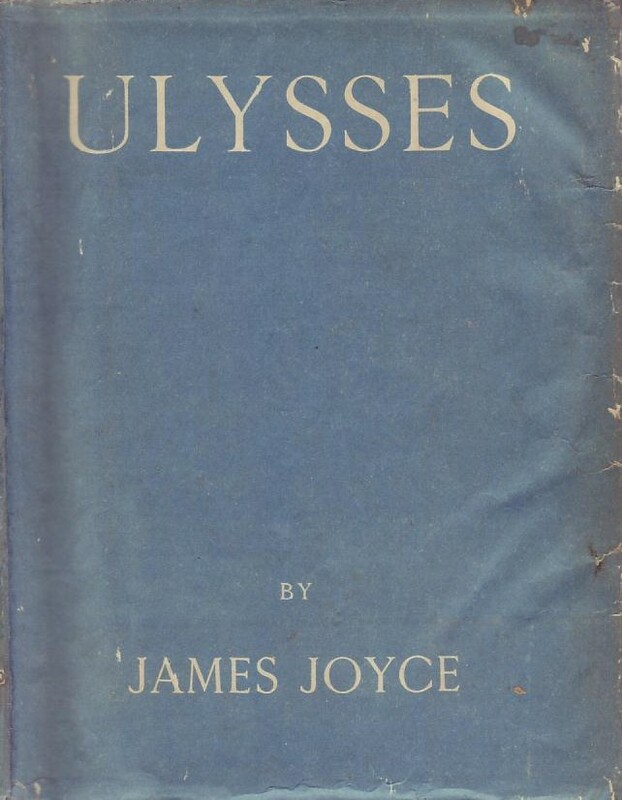 What happened to our recent listing of Ulysses resources? It is here. E-reader texts at Project Gutenberg available for various devices. An edition which is easier to read on a computer. We have much more information at the original post: suggested movies, some poetry, and so on. So please revisit it. Senator David Norris's one-man show He is a Dubliner, historian and leading Joyce scholar. LibreVox recording Amateurs who really love the book. This has certain charm.